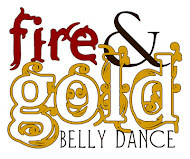 Beauty Blogging for Bellydancers is on a short hiatus again! Unless I suddenly find myself with some extra time to test cosmetics, there won't be a new review until January 31st. Regular dance-related blogging will continue during this time, although it may be a bit sporadic. I have a house guest coming and I'm not really sure what my schedule is going to be like. Thank you for your patience! I have a few products I am really looking forward to reviewing soon.